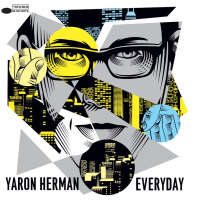 Though the piano/drums duo format is not unprecedented (Russ Freeman and Shelly Manne were doing it back in the early '50s), the Sean Lennon look-alike, Israeli-residing-in-Paris pianist Yaron Herman avoids the seemingly inevitable avant-garde tendencies that this experimental pairing has conveniently evolved into over the decades. 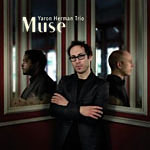 A very thematic player who remains conscious of where he's come from and where he's going, Herman works in waves of developing momentum in meditative, even seductive fashion, while drummer Sylvain Ghio plays withrather than againsthim in song-like fashion as an extension of the same instrument ("Before Birth"). As both the piano and drums are inherently rhythmic, melodic beats develop patiently over time before dissipating in a blink. It's easy to imagine a contemporary singer, not necessarily even of jazz background (along the lines of an Ani DeFranco), suitably adding lyrics to the guitaristic and rhythmic approach of "Knock Knock." Keith Jarrett's influence, having had an obvious impact on the pianist, is convincingly kept at bay to a certain extent, seeping through with slight reminders of the veteran's late '60s work, both at the keys andheard faintly in the backgroundwith vocal sound effects as heard on "Ashlaya." Notes exquisitely echo into space like no other track on the first half of this tune, slowly building as Herman paints more and more strokes while incorporating occasional effective bold bass accents. Ghio's peripatetic percussion travels from drums to dumbek/djembe-like hand percussion, to the rattling of his cymbals then brushes, with a culminating combination of all the above as Herman moves into Cecil Taylor territory. The Cecil/Max Roach piano-drums tradition is honored particularly on the appropriately titled "Rush." It's as if it were only a matter of time before they exploited the avant-ness inherent in the duo's dynamics. Unfortunatelyor fortunately, depending on your personal preference for such performancesthis clocks in as the second shortest track on the entire CD. Of the longer tracks, "What a Wonderful World" is one of only two non-original compositions and clocks in as the longest excursion of the session at over eleven eventful minutes, displaying in full disclosure the many possibilities that an orchestra of piano and drums can accomplish. Track Listing: 1 Before Birth Herman 6:54; 2 Knock Knock Herman 8:00; 3 Hatikva Imbert 10:02; 4 Ashlaya Herman 4:54; 5 Rush Herman 4:01; 6 Heartbeat Ghio, Herman 3:44; 7 What a Wonderful World Thiele 11:16; 8 A Girl Speaks Herman 4:51; 9 Peace Now Ghio, Herman 5:33. 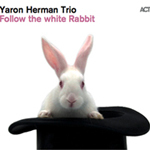 Personnel: Yaron Herman (piano); Sylvain Ghio (drums, percussion).